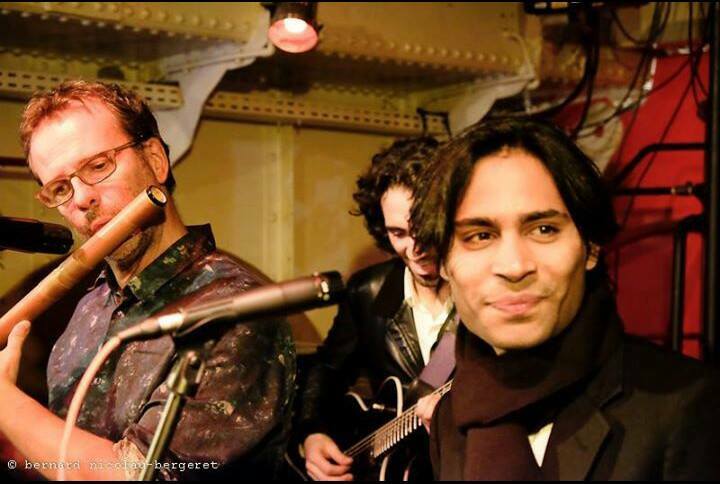 Mohsin Ali Khan is an indian musician, a teacher and mentor. He’s part of a particular lineage of the traditional Indian musical institution called “Kirana Gharana”. Indian Classical music can be described a religion whereby the music, knowledge and musical research was traditionally passed down from guru to disciple by word of mouth. In many old musical families the guru or teacher, is the father and the disciple or student, the son. A gharana, or musical dynasty is formed when this process of teaching is passed down for five or six generations. In India there are very few direct or true gharanas left. Mohsin Ali khan is one of them. It’s difficult to put into words the experience of attending Mohsin’s concerts… It was worth every mile. A mystical journey, a magical elegance and unique style. Warning: this man can affect you with a high level of vibrations and consciousness. And your soul will thank you ! 1. Dear Mohsin, you participate in various important music conferences around the world. How people understand your music in the different countries, Spain, France, Germany, india, Japan…? Mohsin Ali Khan: I think there is no language to explain Indian classical music because people can only feel it and meditate on it. In every music style there is a particular language. When I perform I try to express my feelings with people, things I can’t tell to anyone in words. So, people always listen and understand my feelings and emotions inside of my music, because it’s not about “language”. If I sing indian classical music, then french people, spanish or german people can not understand the meaning, but they can of course feel it. When I perform, before every performance I always explain what I am going to sing, in words, and what kind of history it is about, like a story or something like that. 2. When you perform, you seem very far away. Like connected spiritually to another word. May we ask you how is this looks like and how do you mentally prepare yourself before a performance? Mohsin Ali Khan: Yes, that’s true. This is because in my performance I “loose” myself and try to explain my feelings and emotions, so I also feel that I am in another world… Before the performance I take a rest to make myself relax and calm. I feel the need to make my mind fresh, and then i loose myself in my performance. This is when everything comes to me, every easily and nicely. 3. You have been performing next to the great names of Indian classical music among Birju Maharaj ji, Rajendra Gangani ji, Nandini Singh ji, Subhash Nirvan ji, Ustad Akram Khan ji and many others. As a young musician, what do you learnt from them? Mohsin Ali Khan: I always try to learn from the artists I work with, not only from the orders or famous ones, but also from the youngers, because I believe everyday we learn something from everyone. But yes, I learned a lot with many artists: how to present ourself to the audience, how to treat people nicely, how to talk to the audience, how to perform, and how to respect people and other artists. So many things I have learned from them. 4. How did you start your professional experience as a vocal ? And who did inspire you the most in your career ? Mohsin Ali Khan: I was a kid when i started as a vocal. I was listening to my father and my uncle, and went with them to some concerts and saw how people gave them respect and love and fame…. And this thing inspired me. Then, I decided I should further this as my family background, and started my vocal traning with my father, Ustad Abdul Sami Khan, who is a very well Sarod player. Then my father handed over me to my uncle, Ustad Amir Ahmed Khan Saheb, who is a very well known classical singer of Kirana Gharana music family. My uncle and my father inspired me a lot. 5. You have also an intense activity of private tutoring for music students, in India and in many foreign countries. What does your life looks like ? and where do you focus the most your attention ? 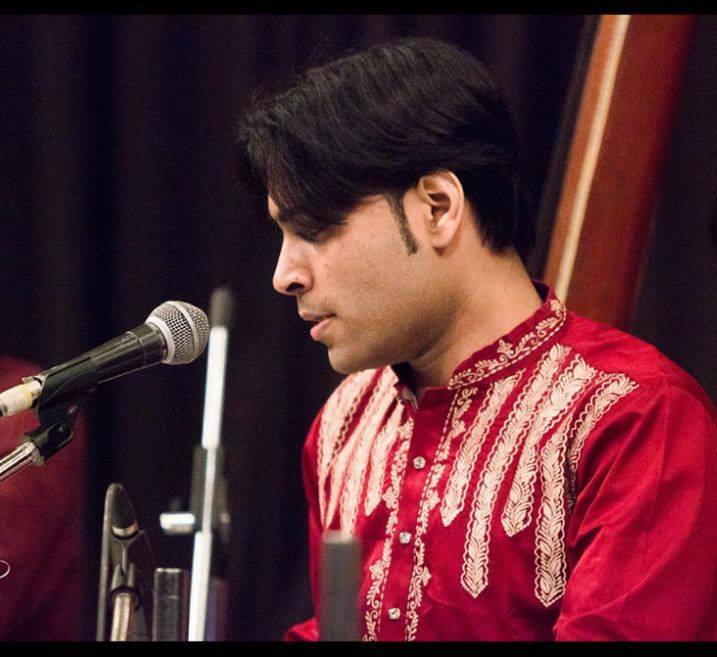 Mohsin Ali Khan: Yes, as i have been teaching all over the world, like in Russia, Spain, Germany, Japan, France, Switzerland, Holland… I have lots of students also in India, but my focus and intention i always try to teach them about my Gharana speciality. Some of special Bandish and Ragas, about my family, about our style, or my Gharana. It’s the most important thing that I am doing. 6. Where can we meet you the next coming months or years ? Mohsin Ali Khan: I hope I will meet you very soon, in any country. I have some offers to perform in Japan, Europe, Dubai and Singapore. My music is universal, it speaks to the souls, and can be performed anywhere. Previous In interview with… Indu Arora, author and Ayurveda-Yoga therapist ! Next In interview with… David Frawley, founder of the American Institute of Vedic Studies ! Il est très mignon en tous les cas…. ❤ je suis amoureuse. il habite à Londres? Il est à Delhi, Ludivine !